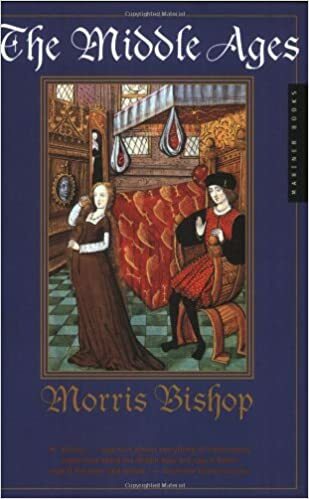 So students taking European history this year would have to have read "The Middle Ages" by Morris Bishop this summer. The book does provide descriptions of life and events from chroniclers. The book also provides Imagery from the Centuries and describes what is happening in the image. Has anyone read this book? It was published in 1968, so of course some info may/will be outdated. Review: Pretty good info. Except for the Armor bits. He says a two handed sword is so heavy that the man swinging it would like be killed before well..swinging it. It's very possible a guy with a two handed sword could be killed before swinging it. Lol. I seem to recall him being so slow. Alas any good swordsman would just cut any missile in half before it hits him. Although he made no negative remarks to single handed swords. Lol. I seem to recall him being so slow. Alas any good swordsman would just cut any missile in half before it hits him. LOL - only in video games, literary fiction and movies- an arrow flies much faster in real life.